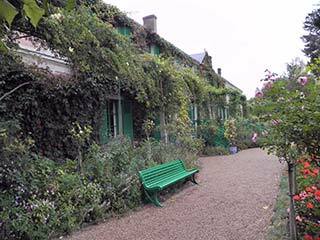 Visit Claude Monet’s home and gardens with a Giverny Tour from Paris. Tour is available daily April through October. Tour also includes Monet’s Lily Pond and the Giverny Museum of Impression. Please use the “Tour Contact Form” on this page to contact us about this tour. Pickup Location: Pickup and return by your driver guide at your centrally located Paris hotel or apartment. 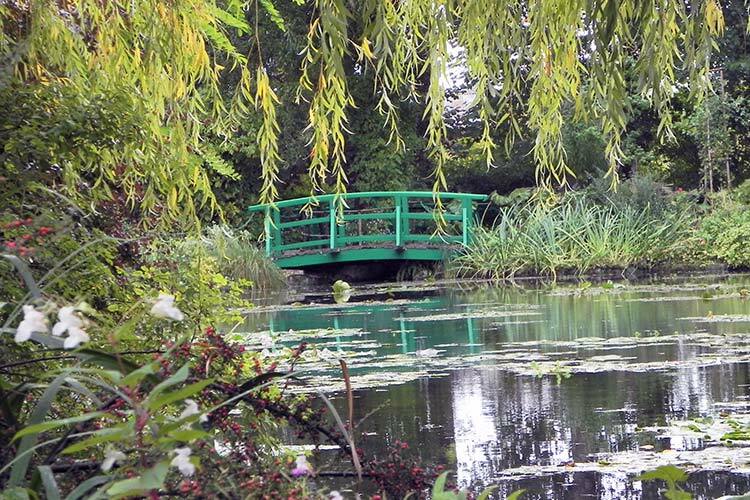 The first stop on your Giverny is Monet’s home and gardens. Monet created the beautiful gardens that he wished to paint. The Giverny Japanese bridge and water lilies were subjects of so many of Claude Monet’s paintings. You’ll see flowerbeds that vary in heights and fullness. The fruit trees or ornamental trees stand over the climbing roses, the long-stemmed hollyhocks and the colored banks of annuals. Monet mixed simple flowers with the rare varieties that you’ll see during your visit. The center part of the garden is covered by green painted iron arches on which climbing roses grow. Other rose trees cover the railing along Monet’s house. By the end of the summer the nasturtiums dominate the soil in the central alley. Claude Monet did not like organized nor constrained gardens. He arranged flowers according to their colors and left them to grow freely. Continue on to visit the Lily Pond made famous in Monet’s paintings. 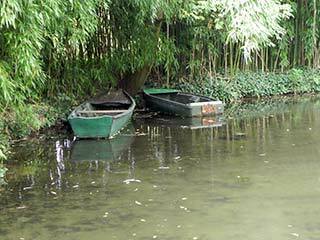 You’ll see the lily pads, and the green painted foot bridges and the row boats. After visiting the gardens and the lily pond, the next stop in the Giverny tour is the Giverny Museum of Impressionism. Monet lived in the house from 1883 until he died in 1926. Though he never traveled to Japan, the house is full of Japanese woodblock prints. Your driver will take you back to your Paris hotel or apartment at the end of the tour.